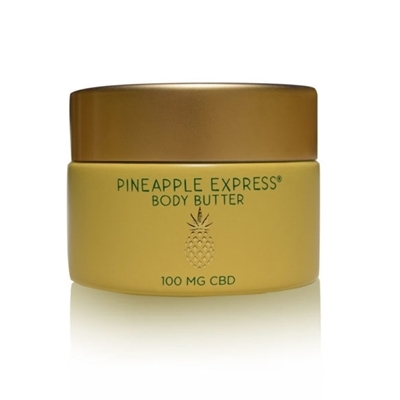 Pineapple Express Body Butter is Packed with nature’s finest ingredients from around the world. This unique formula assists with hydrating your skin to help improve damaged skin by moisturizing and treating affected areas to restore your skin’s natural beauty. Ideal for dry skin, eczema, psoriasis and self-tanning preparations. Dive in and set your skin problems free. 100mg Hemp Extract/unit. 100 MG CBD. Size: 1 oz. Directions: For best results, hit the affected area two times (twice) a day.